MPCS offers VIP access, Red Carpet Access as well as VIP/Preferred Seating options to some of the most ultra-exclusive events and experiences around the world. 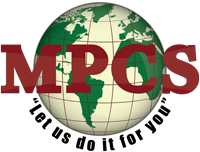 Through relationships with thousands of international partners, MPCS is able to provide clients with access to a variety of global events such as Celebrity Parties, Award Shows, the Emmy Awards, American Music Awards, VIP Show Tickets, A-List events and much more. As an expert in concierge and management services, MPCS specializes in providing access to exclusive venues, VIP experiences and numerous VIP events around the globe. Clients looking to reserve access to any VIP Event, will also have 24/7 access to our concierge specialists who will assist with last minute reservations and completely customizable solutions for any VIP event around the world. MPCS covers 98% of all venues and exclusive VIP events worldwide, ensuring that clients have preferred access to each and every global event.